Home Costs > How Much Does Radon Mitigation Cost? Radon is an odorless gas that is released by the soil, and it is ideal to have your home tested every year to ensure the home is radon free. If a home has radon present in it, a professional system will need to be installed to make sure the radon is cleared. Commonly found in both new and older homes in every state, removal techniques can range from naturally venting the home to depressurizing techniques. The cost of radon mitigation will depend on the house size, the amount of radon present, the technique being used, the geographical location and company performing the job. To test for radon in your home, many kits are available both in stores, such as Home Depot, and online and can cost anywhere from $13 to $30. 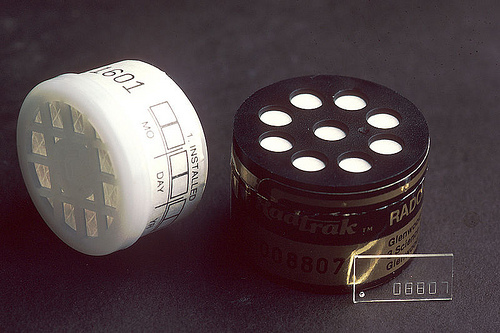 For example, the First Alert RD1 Radon Gas Test Kit costs $13 to $23. Based on a 1-10 scale, anything under 4pCi/L is deemed “standard” according to the EPA, and almost all homes in the United States will be in the .5 and 1.5 pCi/L range. If that number surpasses four, mitigation will be necessary to ensure the radon is free from the home. General testing via a professional can be $125 to $200, depending on the home and geographical location. On average, a radon system installed by a professional can cost anywhere from $650 to $2,200. This will depend on the factors mentioned above. Homes will a crawl space, no gravel underneath the slab or a completely finished basement could cost more. On the other hand, a new home with passive piping installed could be less. A cheaper method, such as sealing and patching the foundation cracks, can be done, but most experts are highly against it as it doesn’t work as effective as the other methods. This simple solution will patch any visible cracks in the foundation and can cost as little as $100 to $500+, depending on large the foundation is. There are two common types of depressurization methods: active and passive. The active method is the most common and effective and using one or more airtight suction vent pipes installed in the soil beneath the home’s surface. These pipes will either vent up the home, go underneath the slab or along the exterior wall. Each pipe will have a fan installed, and this is designed to create a vacuum that’s able to draw the radon from the soil, throughout these pipes, and out the outdoor opening, usually at the top of the home like an attic. A passive system will use a “natural” air flow instead of installing suction fans. An active method could cost about $1 to $1.25 per the home’s square footage, while the passive method will be about 20 percent less. Homes with drain tiles may be able to use localized systems to suction directly to the tile, effective blowing the radon away from the house to the outside. If drain tiles are present, no drilling won’t be required underneath the foundation and is one of the cheapest options to install. Most homes will cost $500 to $1,200 depending on the home size. A heat recovery system, also known as a heat exchanger, is a device that increases the indoor ventilation by drawing the outside air inside and removing the inside air with external vents. These systems will work best in smaller areas with limited airflow such as a basement. This system can cost $500 to $1,000. At-home kits will test short-term radon levels, and most kits will require you to send them back to a lab for analysis after the testing has been done. These tests will be accurate enough to indicate levels and if action should be taken. The average radon testing time is anywhere from three to four days for a short-term test. Most systems will work with pressurized fans or similar devices to create a vacuum that’s designed to trap the radon gas, as mentioned in most of the methods mentioned above. Through this process, the gas is removed and leaks will be sealed, which uses fans, connected to parts, to blow air from the lowest part of the home to the highest point, usually the upstairs. These fans will run continuously to draw gas away from the home. If a sump pump is present in the home, it may need to be sealed and a suction system will be created to prevent air from coming up from the base. This seal will clear and the entire shell will be sealed tightly to handle all weight loads. Any drain pipes, which usually go directly into the soil, will have air traps to prevent air from coming in. If a home has a crawl space, it won’t have a slab underneath, which means the gas can come from the soil into the living space above. Due to this, the costs can be more because of the work involved. With this process, the crawl space will have to be encapsulated and a thick plastic barrier will need to be added to prevent the gas from rising from the soil. If the home has a concrete slab instead of a crawl space, the gravel beneath the slab will need a depressurization vent to allow the gas to naturally leave the slab. Like a crawl space, a finished basement can involve more work since pipe extensions and jumpers may have to be installed in the walls, which can potentially damage the finished area. These jumpers and extensions will be installed in connection to keeping the vacuum strong enough to vent the inside/outside air. The EPA will recommend that a home with radon present in the past be retested every one to two years. A professional can give a professional reading for anywhere from $150 to $300, or as mentioned above, an at-home kit should be less than $40. Some systems may add an additional $10 to $20 to your overall electric bill each month. If there is well water present on the property, the water well will have to be tested as well. This can come at an additional expense. Even with a system or a home with low-level readings, a test is still recommended annually. Systems with a fan will need to be replaced every five years and can cost around $250. Radon gas is odorless and will be naked to the eye. Naturally occurring deep within the soil, this gas is formed by the natural decay of uranium in rock and the soil deep in the earth. Even if your neighbor had a low result, it doesn’t mean your home will. Radon levels will vary greatly from home to home, even if a few feet apart. The results will all depend on the geology surrounding your home and the material your home is made from. The EPA claims as many as 1 in 15 homes are affected by dangers levels of radon. Radontechnologies.com says the best time to check for radon will be in the winter or summer months when either the heating or cooling systems are running. If purchasing a home where radon is known to be present, ask the seller if they are willing to get a professional radon test, preferably by a qualified inspector. Most sellers will be more than happy to oblige. According to the National Institutes of Heath, the long-term effectiveness of radon mitigation is not well known, since few states regulate or confirm post-mitigation results. However, during the study, 140 homes were randomly selected in Minnesota and the findings found 97 percent of the homes had concentrations below the EPA action level. The EPA website offers many discounts and coupons on their website. Check your local area to see if there are any deals of which you can take advantage. While it isn’t a permanent solution, experts recommend at least keeping the windows open to allow fresh air to naturally come in. This natural air can reduce the levels, but again, it should only be used as a temporary solution. When choosing any professional, always get at least three to five quotes before choosing one. Always make sure they licensed, insured and bonded as well.